Today, video gaming is a mainstream industry that billions of people enjoy on a daily basis. Be that playing the latest Call of Duty on their Xbox One X or simply enjoying a spot of Tekken on their smartphone while commuting to work. And, amazingly, some of each year's biggest AAA games go on to be so popular that they make more money than even the biggest Hollywood blockbuster movies, raking in hundreds of millions of pounds. The breadth of the titles and gaming genres available is also staggering, with sports games, first person shooters, role playing games, turn-based tactical battle games, puzzle and platforming, and many more lining store shelves. However, it wasn't always thus. Many people often forget that video gaming, in the grand scheme of things, is still a pretty young industry. To get to the influential position it is in today has taken rapid innovation and change. Indeed, the scope of innovation in video games has - arguably - been more wide-ranging and fierce than in any other contemporary entertainment medium, with some inevitable hiccups encountered along the way. What is for sure, though, is that if it wasn't for this innovation, video gaming would be nowhere near as popular or awesome as it is in 2018 – with killer titles, hardware, accessories and features that offer people truly mind-blowing experiences. Here are 10 of the most innovative games that we feel changed video gaming forever. From classic 2D side-scrolling platformers, through deep and narratively compelling role playing games, and onto graphically impressive physics-defying puzzlers. Doom is, without doubt, one of most influential and innovative games in video game history, with the game almost single-handedly popularising the first-person shooter genre that now dominates the industry like no other. Sure, there are titles released before Doom that attempted the same basic principle, most notably Wolfenstein 3D, which was released a year before. However, it was Doom that captured lightning in a bottle and showed exactly how dynamic and visceral video gaming could be. Its strengths lay in its innovative level designs, which communicated a story and sped up and slowed down the action naturally - as well as rewarding the player for exploration by building in numerous secret rooms and areas. Plus there was its gunplay, which was more intense and fluid than we had ever seen before. Throw in a (for the time) incredibly advanced game engine, rudimentary multiplayer, and some outrageously demonic enemy designs and the rest was history, with the game exploding in popularity and spawning a number of sequels. Most tellingly, though, is that the original Doom remains very popular even today, cementing its position as an innovative cornerstone of the gaming industry. Can games be art? Well, Shadow of the Colossus helped swing the needle firmly towards "Yes!" with its (for 2005) unique gameplay mechanics, impressive sense of scale, technical wizardry and jaw-dropping animation and character design blowing critics away. The game sees the player's character (named Wander) take down a series of titanic monsters via a mix of platforming and combat in order to save his beloved. The game explores concepts such as gamification, companionship and unreliable narrators. But it is the visual images the game leaves imprinted in the mind that have made it a classic. Other areas where Shadow of the Colossus innovated massively was in its technical systems, with a realistic and consistent in-game physics engine pulling everything together and ensuring, despite taking on many different forms and sizes, that the colossi the player fights all obey the same laws. Online games had existed long before World of Warcraft showed up in 2004. However, none had delivered its massively multiplayer online (MMO) experience, where thousands upon thousands of players could all interact and quest in its virtual fantasy world together. It showed just what MMO games were capable of. It also shook up the traditional business model of selling a game once to a consumer. Instead, it offered an ongoing subscription, with the game only playable over an extended period of time if the consumer paid – a fact that has seen the game gross over $9.23 billion to date. Countless other games followed World of Warcraft's lead but each fell far short of its financial success and fame. Its combination of team-based questing and raiding, classical RPG character building and consistently evolving fantasy narrative remains unmatched. What else is there left to say about the platform game that established the genre? Not much, in reality – and that is testament to its innovation and milestone fame. Yes, Mario Bros. came before this title, but it was Super Mario Bros. that really took the character and its world to stratospheric heights. Its side-scrolling platform gameplay completely reworked the arcade principals of its predecessor. Released in 1985, Super Mario Bros. not only established the genre in the mainstream, but also acted as a technical benchmark and showpiece that future rivals would have to judge themselves against. It was so successful when it hit the market that this game is credited as one of the main reasons the video game industry recovered from the very damaging 1983 industry crash. This game would go on to be beaten by Super Mario World, which is probably the purest video game of all time. However, if it wasn't for Mario's antics on the Nintendo Entertainment System, the video game industry today could've looked very, very different. To this day, many gamers point to Final Fantasy VII as the definitive 3D JRPG, with its memorable game world and characters, as well as tried and tested combat mechanics combining to produce a long and rewarding gameplay experience. And, as technical jumps go in video games, Final Fantasy VII was arguably one of the very best, successfully transitioning from 2D graphics to 3D environments thanks to it clever use of detailed pre-rendered backgrounds. These granted the game's environments plenty of personality and interest, despite the characters themselves being restricted to being polygonal models. Final Fantasy VII was also innovative in that it was arguably the JRPG that truly brought the genre to a mainstream western audience, with the game breaking genre sale records in North America and the rest of the world, too. Countless games since have been indebted to the innovation delivered in Final Fantasy VII, with echoes of it even evident in 2018's biggest JRPGs such as Ni no Kuni II: Revenant Kingdom. One of, if not the, most definitive arcade games of all time, Street Fighter II innovated where it counted in the versus fighter genre to produce a title that remains one of the most-loved and technically slick titles in the genre. The original Street Fighter, released in 1987, had introduced the series protagonist Ryu, as well as the concept of fighting a series of enemies in sequence while using a six-button control scheme and selection of special techniques. However, it was Street Fighter II that reworked the formula with an emphasis on multi-player action, as well as an expanded, globe-trotting selection of characters. These are principals that basically every other versus fighter game since then has copied. Later series such as The King of Fighters and Fatal Fury took the versus fighter genre to arguably more interesting and complex places, with numerous new battle modes and in-game techniques. But it was Street Fighter II that laid the groundwork. That train ride at the beginning of Half-Life told gamers just how innovative this first person shooter was going to be, with the genre taken to unknown heights in terms of narrative, AI, and world building. The game enabled the player to not just watch a story play out in between moments of action, but to actually act it out. We could be the centre piece of a story that remains as engaging to play through now as it was in 1998. The first time gamers came up against the AI-controlled squads of marines was a moment they never forgot, either. The way the soldiers used grenades to flush you out, outflank you, and take cover when under fire was streets ahead of enemies in Half-Life's contemporary games, and it helped to cement it as a bonafide classic. The world that Valve created with its underground Black Mesa lab, Xen dimension aliens, and mysterious and cryptic G-Man was so strong it would go on to influence game design as a whole. The early GTA games were fast-paced top-down action-adventure games that acted like shots of adrenaline, with the player tasked with generating a set number of points in each level by committing various crimes. And the beauty came from the fact that players could generate those points in any way they saw fit, leading to a fast-paced arcade-style game that rewarded extreme chaos and mayhem. In 2001's GTA III, though, the fundamental idea behind the series was innovated to a level an order of magnitude beyond the original titles. It gave us a fully 3D world to explore and cause carnage in, and an open world too, with few restriction in terms of what we couldn't do to accomplish missions. This proved to be a masterstroke of series evolution, with a number of sequels since building on its foundations. GTA III also proved to be the template that many subsequent titles, such as Watch Dogs, would ape. It's hard to recreate the feeling of mind-boggling advancement and innovation that Super Mario 64 delivered upon its release in 1996. Simply put, its impact on the video game industry is still being felt today – the title was that amazingly ahead of its time. Sure, there had been 3D games before Super Mario 64, with the likes of Bug! pushing the boundaries of three-dimensional worlds and exploration in games a full year before. 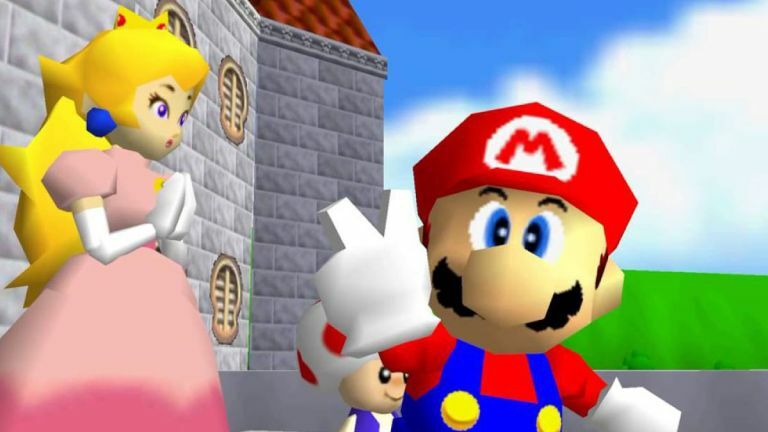 However, it was the scope, execution and jaw-dropping imagination on display in Super Mario 64 that made it become the poster-child for 3D platformers. And, arguably, for video gaming in general. The innovation also extended to the in-game mechanics and control scheme, which was developed hand-in-hand to take full advantage of the Nintendo 64's control pad's analog control stick, which gave gamers unprecedented control of Mario as he fought and explored the game's numerous worlds. A fabulous evolution of the tried, tested and (if we're being honest) pretty stale first person shooter genre, Portal showed that this type of game didn't have to be confined purely to shooting things in the face. Equipped with the ASHPD (Aperture Science Handheld Portal Device), you must navigate a series of challenging puzzle rooms, creating and closing portals through the environment to navigate to each exit, before confronting the game's antagonist, GLaDOS (Genetic Lifeform and Disk Operating System). What was truly astounding, though, was the game's dedication to innovation within the physics systems of games, with neat properties such as the magnitude of linear momentum preserved through each portal. This meant that players were rewarded for experimenting and creative thinking with their portal use. The sequel, Portal 2, delivered even more portal-spewing physics madness, but it was the original title that delivered the purest experience.